Today is the feast of Blessed Anthony Neyrot, OP. I think he could make a fine heavenly patron for ‘reverts’ to the faith. 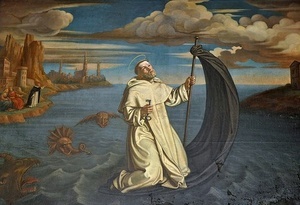 At Tunis on the coast of northern Africa, blessed Anthony Neyrot, priest of the Order of Preachers and martyr, who, taken by pirates to Africa, apostatized, but, helped by divine grace, publicly took up again the religious habit on Holy Thursday, which atoned for his crime by covering it with stones. Some other things I read on the internet said that during his apostasy he had become a fairly devout Muslim and had even made a socially advantageous marriage. Holy Week 1460, however, found him inspired to repent of his apostasy. Having made his confession he was re-invested in the Dominican habit and then, on Holy Thursday, was stoned to death for his re-version to the faith. Here is the Mass prayer for Blessed Anthony I posted in 2010. Blessed Anthony, pray for us! The wags will say that Saint Raymond is the only certified canon lawyer who is in heaven and that we ought to pray that Saint Raymond to guide other canonists to holiness. not know how, to live temperately, justly and righteously in this world. 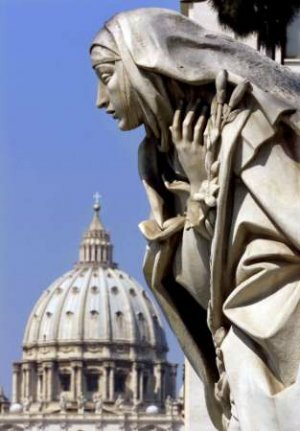 O Light of the Church, teacher of truth, rose of patience, ivory of chastity; you freely pour forth the waters of wisdom, preacher of grace, unite us with the blessed. 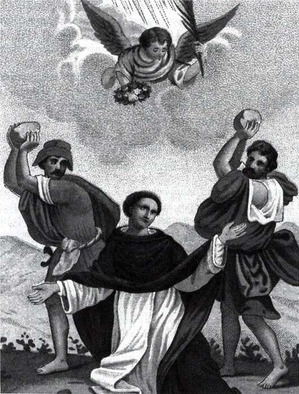 In Churches administered by the Order of Friars Preachers (the Dominicans) the faithful would have heard the Mass prayers not for Thursday of the Seventh Week of Easter but for the Translation of the Relics of Saint Dominic. That is, the observance of a secondary feast of Saint Dominic. What is celebrated is not the mere moving of a coffin from one place to another but the recognition by the Church that the person in question has the “odor of sanctity.” That is, he or she is infallibly with the Blessed Trinity. The Dominican friars did in fact, move the body of their holy father from a humble place of burial to a more noble one, but this feast really marks an ecclesial event recognizing the sign that Dominic was holy man. It ought to be noted, however, Dominic was buried as he wished, “under the feet of his brothers. in the Church of Saint Nicholas de Vineis. Known among the faithful to be a blessed man who loved everyone and was in turn loved by all, Dominic asked the Lord to heal people of their infirmities. Miracles happened and were acknowledged by many except for the Dominicans; they in fact destroyed the offerings left as gifts of thanksgiving at the grave of Father Dominic. 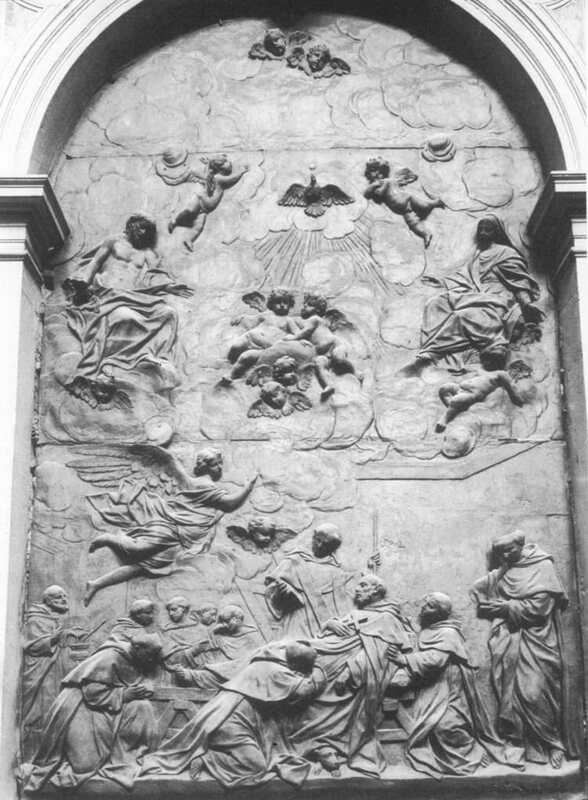 Pope Gregory IX, on 24 May 1233, sanctioned the moving of the body that happened in the presence of the archbishop of Ravenna, Theodoric and the second Master of the Order Blessed Jordan of Saxony to a new marble tomb during the Dominican’s General Chapter held in Bologna. This gesture inaugurated the process of canonizing Dominic which happened on 3 July 1234 by Gregory IX. In these days following the feast of Saint Catherine of Siena, I thought I would post this rather beautiful extract from one of the saint’s Dialogues. It shows the depth of love that Catherine knew she had with her Savior, her lover. Catherine of Siena, The Dialogue, tr. Suzanne Noffke (New York: Paulist Press 1980) 325. 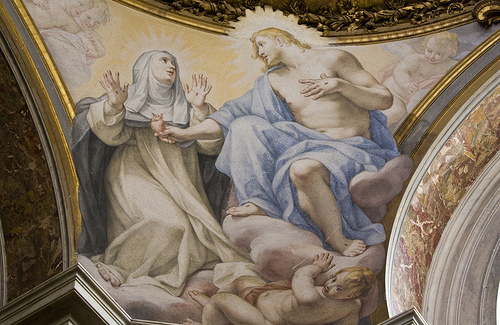 Today is the transferred feast of the great Dominican saint, Catherine of Siena. Since her feast day is April 29th, and this year the 29th was Good Shepherd Sunday, and the Sunday celebration is rarely trumped by a saint, the feast moved to the next available day. Being that I work at a Dominican church, we celebrated Catherine’s gift to the Church with great solemnity. Cardinal Donald Wuerl and Sister Elaine Goodell, PBVM were honored with the “Saint Catherine of Siena Award” and Brother Ignatius Perkins, OP was inaugurated with the new chair of Catholic Ethics at the Dominican House of Studies. Brother Ignatius is currently a professor of Nursing at Aquinas College, Nashville. Here for the celebration were the Dominican Friars, a secular priest, a Jesuit priest, with several congregation of sisters including the Franciscan Sisters of the Eucharist, the Hawthorne Dominicans, the Dominicans of Nashville, the Sparkhill Dominicans, the Apostles of the Sacred Heart of Jesus, and the Sisters of Life.